In South Carolina where the summers are hot and humid, We rely on our air conditioning systems to keep us comfortable and keep the inside of our houses dry and mildew free. 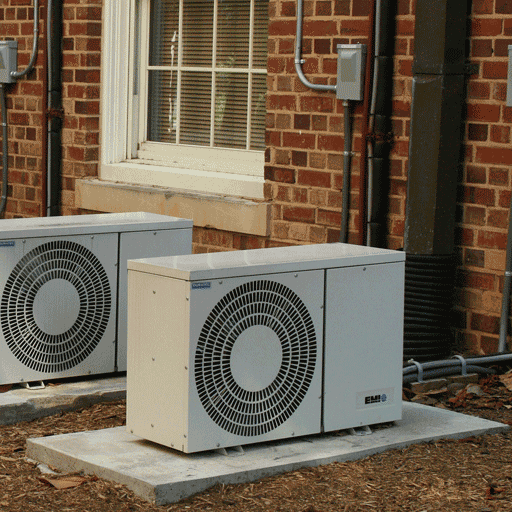 A great many homes in this area have what is commonly known as a Gas Pack system with an air conditioning condenser unit on the outside of the house, and a gas furnace and air conditioning evaporator coil in the crawl space under the house. The evaporator coil becomes very cold, and air that passes over it is cooled and looses its moisture in the form of condensation. This process cools and dries the air in your home so that you feel comfortable. In a very humid climate, the amount of condensation can be considerable. This moisture typically drains into a pan under the coil and is then either pumped or drained by gravity out of the crawl space and away from the structure. If the drain line becomes clogged, or the pump fails, or a pipe fitting comes loose, water backs up in the tray and/or drains onto the crawl space floor. Standing water in a dark, hot and humid crawl space is an invitation for mold and mildew to form. Many older HVAC systems are not airtight and allow crawl space air to enter the system, and where the condensation drainage is interrupted, mold and mildew can be pulled into your HVAC system. If, during an inspection, I find a broken, leaking or obstructed drain line, I report it to the home owner with a recommendation to have it repaired. It’s not a bad idea to have an annual heating and air conditioning check up, and to ask the technician to pay careful attention to the drain pan and pipes, and to make sure that the ductwork is in good condition with no splits, holes or gaps. If you suspect mold, contact a certified mold inspector.